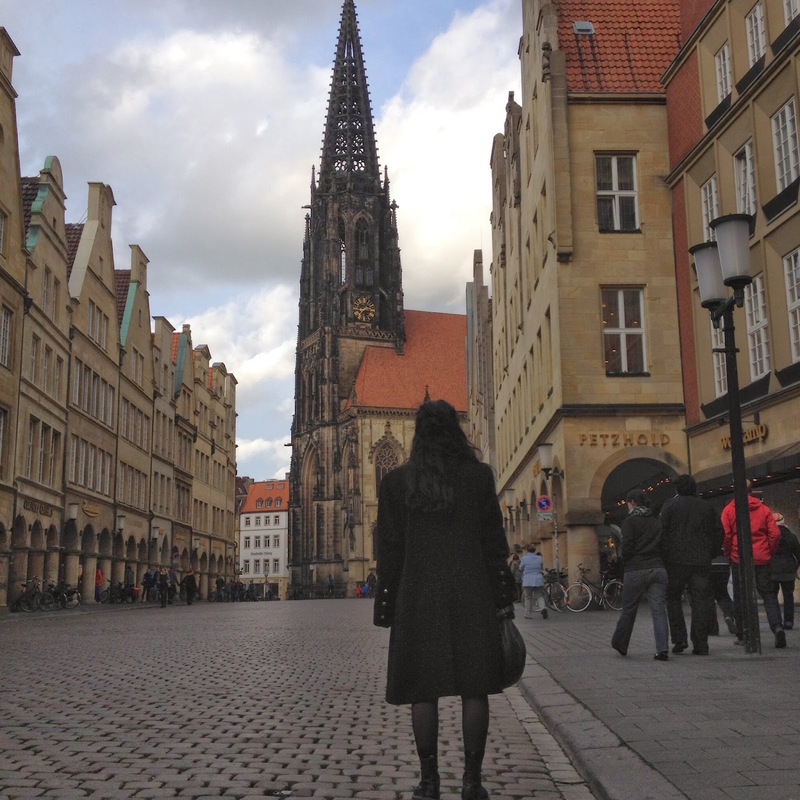 Quick stops in Muenster, Kassel, and Leipzig Germany. 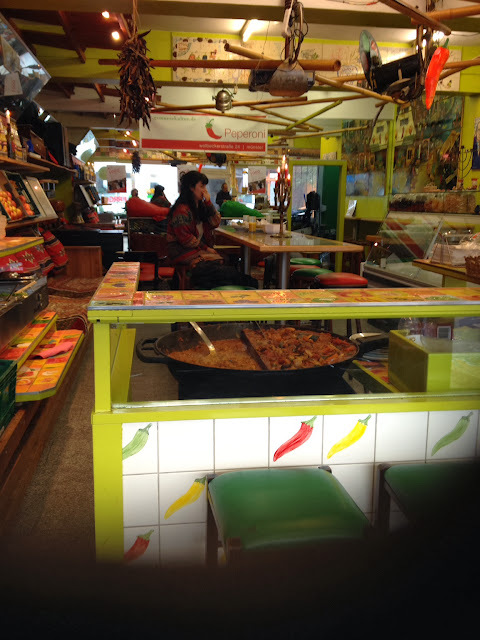 A vegan restaurant in Muenster called Peperoni? Looks scary but tastes great! 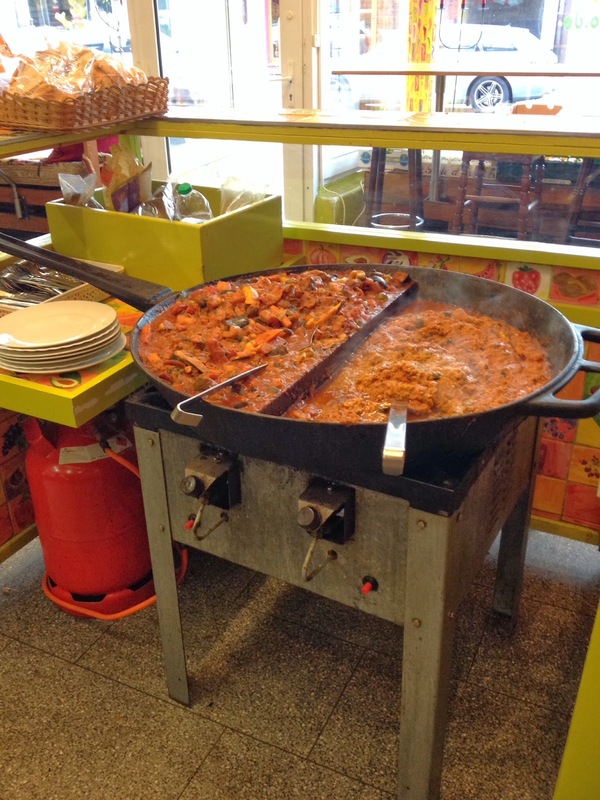 Owner told us he cooks 2 dishes in this huge split cast iron pot. When it's gone - he closes the restaurant. 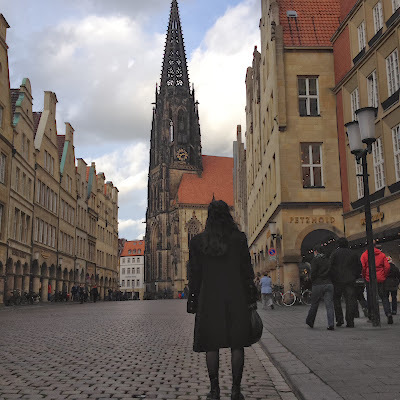 Searching for Muenster Cheese in Muenster Germany. Everyone thought we were crazy. Found out later Muenster Cheese originates from the United States. (Who knew?) They looked at us ( especially after our attempts at speaking German) as if we were the Munsters..
A not so great view from Mount Hercules in Kassel, Germany, while we were there. 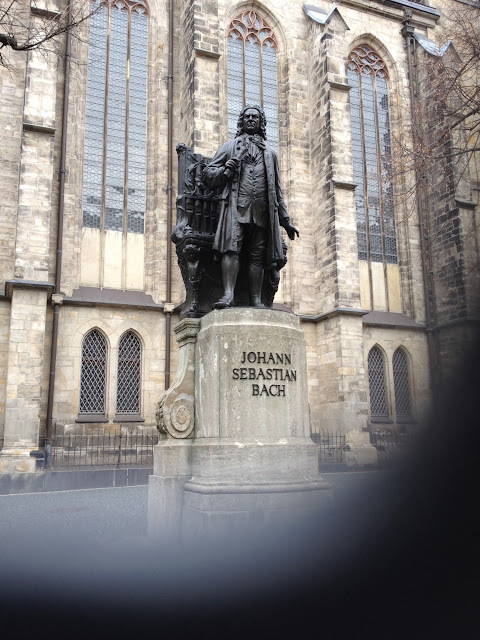 We stopped for a bathroom break in Leipzig Germany and came upon where Bach's remains are buried by following a bunch of tourists into the church of Saint Thomas. He was originally buried in St John's Cemetery in an unmarked grave, with the help of his admirers he was moved to a sarcophagus in St John's Church. 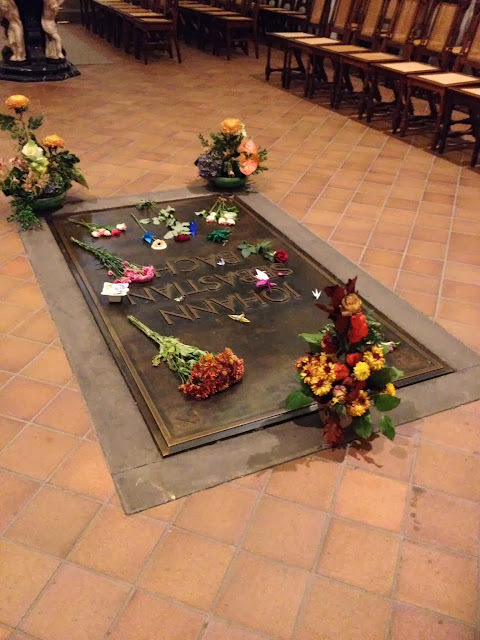 The Church was destroyed by bombing in World War II, so in 1949 Bach's remains were taken to his present grave inside the church of St. Thomas. I guess you could call it Bach's "3rd Movement". Of course we know his best work - Toccata and Fugue in D minor - all those years of Disney's Fantasia!